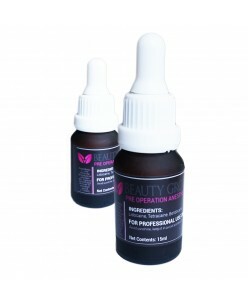 Beauty Group pre operation anesthetic (15ml.) Anesthetic is used before the procedures on unbroken skin. Apply to desired area and wait for activation period (~15min.) 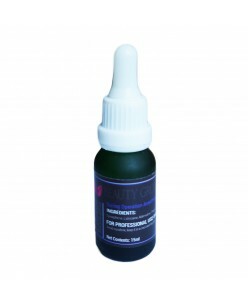 Ingredients: Lidocaine, Tetracaine, Benzocaine For professional use only Net Contents: 15ml. .. Powerful painkillers for permanent make-up, Purebeau FibroBlast procedure, mesotherapy injections, RF with microneedles and other techniques related to the use of microneedles. Anesthesia for needle techniques - tetracaine 5%, lidocaine 5% benzokaine 5%, the consistency - cream with increased ability to pene..
Out top selling topical anesthetic. 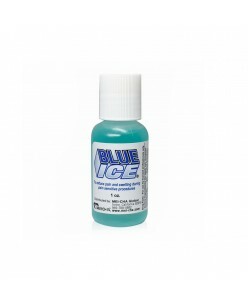 Gel-based, use after opening skin, contains epinephrine that reduces swelling, bruising and bleeding. Excellent anesthetic for lips or inner arms. Long lasting numbing power for up to two hours. 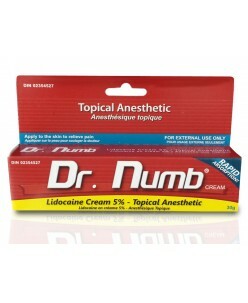 The non-sting, fragrance-free formula is also a great pain reliever for all permanent cosmetic proc..
Dr. Numb is a NON-OILY topical numbing cream that contains purest Lidocaine, the highest amount allowed by Food and Drug Administration. Dr. Numb is the only water-based numbing cream on the market. Dr. Numb doesn't interfere with the ink or the skins elasticity, making it safe to reduce the UNNECESSARY PAIN of:-Needle Pain-..